480 STERNS CROSSING | SOLD! Proverbs 3:5-6 Brentwood Lifestyle™ is published monthly by Lifestyle Publications LLC. It is distributed via the US Postal Service to some of the Brentwood areas’ most affluent neighborhoods. 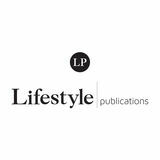 Articles and advertisements do not necessarily reflect Lifestyle Publications’ opinions. No portion of this magazine may be reproduced in any form without written consent. Lifestyle Publications does not assume responsibility for statements made by advertisers or editorial contributors. 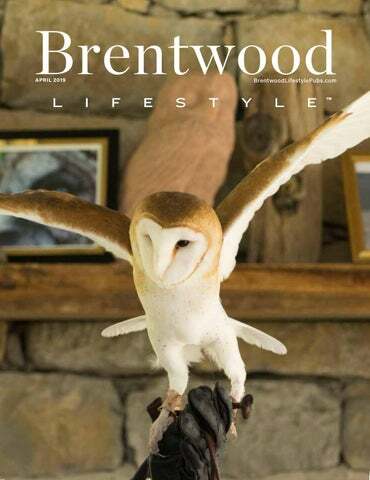 Information in Brentwood Lifestyle™ is gathered from sources considered to be reliable, but the accuracy of all information cannot be guaranteed. 2018 Brentwood Lifestyle "Best of Brentwood" Awards Ceremony Sam's Place, the outstanding new sports bar in Brentwood's Nippers Corner area, served as the perfect venue for the 2018 "Best of Brentwood" award celebration. Congratulations, everybody! T H E N O N - S U R G I C A L W AY ! "The improvement since starting treatment for my knees at IMAC Regeneration Center has been tremendous. I wish I had known about this place before I had surgery on my left knee years ago. Go and see the doctors at the David Price Center. I am looking forward to running the St. Jude marathon again!" Brentwood High School Wrestling Now a Force to Reckon With Under the leadership of coaches Damon Smith and Jordan Loy, Brentwood High wrestling has come of age, winning the Region 7 championship for the second straight year and sending these Bruins to the TSSAA State Championship: Brennan Jennings, Sam Sullivan, Johnny Mac Feldhacker, Hutson Staggs, Drake Cunningham, Skylar Coffey and Tank Starr. Skylar finished first in the state! Congratulations! 60 YEARS Still owned and family operated. DON’T FORGET TO CHANGE YOUR FILTERS! Happy 50th Anniversary Brentwood Proud to have been a member of the committee that led to the incorporation of Brentwood in 1969. A great historical community. Chef Reuben support two local environmental nonprofits in this issue, Owl’s Hill Nature Sanctuary and Harpeth Conservancy, by enjoying some Franklin Soul Food for yourself and writing “Dine4Owls” or “Dine4Harpeth” on your check. When you do, Chef Reuben will donate 10 percent of your tab to the worthy nonprofit of your choice! the City of Brentwood. The fun starts rolling at 2 p.m. on April 13 at the Tractor Supply Company HQ, 5401 Virginia Way. With the theme "Show Us What Makes Brentwood Golden," expect lots of nice neighbors and festive floats. The parade will also feature Brentwood and Ravenwood High Schools’ marching bands, cheerleaders and equine groups. The parade and other events are made possible thanks to donations from community sponsors. Tractor Supply Company is the presenting sponsor of the City of Brentwood’s 50th celebration events. Woodward Homes is a full service Design/Build company. From kitchen remodels, to covered porches, or a new home from the ground up, we can help you through all aspects of the building process. located at 5211 Maryland Way, in front of Brentwood City Hall. Come join the fun! FOR VOTING ME AS YOUR # 1 R E A LT O R ! 1 0 8 G O V E R N O R S W A Y- Brentwood, TN Brentwood estate home. This stunning Governors Club home has a very open and functional floorplan with many upgrades. A complete kitchen renovation includes Viking stainless appliances. Custom cabinetry, microwave drawers, refrigerator drawers and more! Enjoy the weather year round in the gorgeous front and back porches! .6 acre lot. Gorgeous estate home with breathtaking views of the 3rd and 9th holes of Governors Club’s Arnold Palmer designed golf course. 3 levels of living space totaling over 6,000 square feet with 6 bedrooms, 5.5 bathrooms, a newly renovated kitchen and a gorgeous renovated master bathroom. This home also includes a full finished basement, a gunite pool, and 2 levels of great outdoor living spaces. Looking for your next home? Look no further than 6 Carmel Lane in the Governors Club! Please reach out to me directly for more information on these fabulous listings. If you are thinking of selling please contact me as I have buyers looking for homes in our beautiful city and would love to show them YOURS! PORSCHE OF NASHVILLE'S POKER RUN: START DRIVING, STOP LEUKEMIA! Draw your first two cards and start your engines! It's the annual Poker Run to keep the fight against leukemia rolling along. The Poker Run will be held on May 11, starting at Porsche of Nashville. Check-in, registration and a complimentary breakfast begin at 7:30 a.m. Participants get instructions before heading out in groups of 10 to follow a lead driver to the remaining three stops, drawing a card from a fresh deck at each. The last stop is Velocity Motor Cars where lunch will be provided and hands will be compared with the top three winning prizes! There will also be door prizes as well as a live auction. The Start Driving, Stop Leukemia Charity Poker Run is organized by the Team Annie Rose Foundation. The TARF was founded in 2013 and is a nonprofit that benefits the Leukemia and Lymphoma Society here in middle Tennessee. The LLS provides funds for research of all blood cancers and helps support patients and families of Tennessee. Registration is $200. A friend can ride shotgun for free! the Children’s Hospital but also to the health and well-being of children and families across Tennessee and beyond. AT MODERN ACUPUNCTURE, YOU ARE SEEN BY A LICENSED, BOARDCERTIFIED PRACTITIONER. IN THE UNITED STATES, A TRAINED ACUPUNCTURIST HAS AN M.A. OR PH.D. LEVEL OF TRAINING, GAINING A DIPLOMA OF ACUPUNCTURE OR ORIENTAL MEDICINE. tioner. In the United States, a trained acupuncturist has an M.A. or Ph.D. level of training, gaining a diploma of acupuncture or oriental medicine. Acupuncture education includes two years of medical school classes and two years of hands-on clinical practice. Before the treatment begins, the staff will answer any questions you may have about acupuncture. The acupuncturist will do a thorough assessment of your symptoms while you discuss any ailments you are experiencing. Through observation alone, they note your breathing, heart rate and blood pressure. During your session, you will be reclined in a zero-gravity massage chair. It can be a very calm, relaxing experience. If someone comes in with bursitis, i.e., inflammation of the fluid sacs of the joint, the acupuncturist will utilize tiny needles to access distinct points on the body (without removal of clothes, as in a traditional session) to treat acute pain, restore balance in the lymphatic system, increase circulation and treat inflammation. The acupuncturist will design a personal treatment plan—it may take four to six sessions or longer—to alleviate underlying causes, which could be arthritis. If you’re worried about needles, clinical director Rachelle Smith assures us that an acupuncture needle is extremely thin, smaller than a single piece of hair—it’s not like a hypodermic needle—and you may or may not feel the needle going in. Once the needle has been placed, it feels more like a tingling or aching sensation. Many patients fall asleep during treatments. Most people come in to get help with stress and anxiety, sleep issues, digestion and headaches. More recently, cosmetic acupuncture, the like “glow from the inside out” treatments, has become popular. People are turning to acupuncture as an all-natural alternative to Botox in their health and beauty regimes. Targeted needles boost the body’s own healing, getting blood, oxygen and nutrients to the face, stimulating the production of collagen. Over time, people see a reduction of fine lines and wrinkles, a lifting and toning of facial muscles, and correction of texture and color imbalances. Now that we have piqued your interest, there is nothing to lose—only the health benefits of acupuncture to gain. 39 month lease. 10k miles/year. $0 security deposit. $4,000 due at signing. Price excludes tax, tag, & title. With approved credit. Expires 3/31/19. A DONATION DROPS INTO THE CENTER OF HARPETH CONSERVANCY, SETTING OFF WAVES OF POSITIVE IMPACT IN ALL DIRECTIONS: TOWARD LEGISLATION, RESTORATION, CONSERVATION AND EDUCATION. When it comes to the numerous challenges facing the 870 square miles of the Harpeth Watershed, this Brentwood-based nonprofit—a sophisticated conservation organization with staff experts in policy, science and law—addresses them all. And it does so from our own backyard, dedicated to the health of a river system that, for many of us, actually flows partly through our own backyards. Not bad for an organization that, when it began less than 20 years ago, had a scant $1,300 in its coffers and a mere 30 names on its membership rolls. Today, thanks to growing community support for its critical mission—half of its annual budget of nearly $600,000 comes from individuals—the Harpeth Conservancy employs a full-time staff of experts in conservation policy and environmental science. A good thing, too. There is a lot at stake. As one of the last three free-flowing rivers left in Tennessee, the Harpeth with its 125 miles of main river and its 1,129 miles of streams is a boon to us all, providing resources and recreation to humans while serving as one of the most biodiverse habitats on the planet to flora and fauna. For example, at least 84 native species of fish call the waters home. Yet the Harpeth River Watershed is under serious threat. As we all know, the greater Nashville area is developing rapidly, creating ever more demand for land and for water and often generating deleterious impacts, damage that is often wholly unnecessary if only best practices were implemented. And that is where Harpeth Conservancy comes in. Here are a few examples of how donations to this organization create currents of philanthropy that flow effectively into action both on the ground and in the water. D O N AT I O N S HELP CR AFT L E G I S L AT I O N .
D O N AT I O N S HELP RESTORE AND CONSERVE. Just because some people unwittingly mess something up doesn’t mean other people can’t later help make it right. Take, for example, Franklin’s former low-head dam. For years, the city used to draw so much water that a stagnant pool would often form at its base in the summer, a foul-smelling eyesore to people and a deadly catastrophe to fish and other wildlife. The Harpeth Conservancy coordinated a multi-agency effort to remove this last remaining human barrier on the Harpeth, creating a fully free-flowing river and resulting in a measurable rebounding of native fish species. Not only that, but the Harpeth Conservancy helped to create a public access point and park at the place where the dam used to be. *Brentwood Lifestyle Readers' Choice Poll & The Tennessean "Toast of Music City" Poll. Located at the Hill Center in Brentwood. Complimentary Valet & Self Parking Garage. and dead fish. Finding these algae areas is a nitrogen-laden job, but someone’s gotta do it. Thank you, Harpeth Conservancy! SERVING LUNCH & DINNER DAILY Satisfy your sushi craving with new and traditional culinary creations. Also try our Hot Nama Asian inspired o f f e r i n g s l i ke S e s a m e B e e f , Pi n e a p p l e P o r k Te n d e r l o i n , A s i a n BBQ Salmon and more! they write “Dine4OurRiver” on their tabs! Visit FranklinsSoul. com for hours and menu. When you visit, tell Chef Sliva thank you for going with the flow! dards-based programs to learn about the more than 2,000 native plants and animals that call Owl’s Hill their home. There were lots of other interesting humans to view as well. More than 200 Scouts completed merit badge requirements, and nearly 1,000 day campers romped over hill and dale on various epic quests. I would also like to hoot a big salute to the many volunteers and corporate partners who logged hundreds of hours removing invasive species such as privet and honeysuckle and planting in their stead such beneficial natives as roughleaf dogwood, buttonbush, persimmon and red oak. In all, some 300 native trees were planted, hic habitat felicitas indeed for the 136 baby birds fledged from the nest boxes along the study trail. Perhaps those birds can flap their wings beside the 30 different species of butterflies recorded last year. In any case, 2018 marked the 20th year of consistent data collected from the nest boxes through Owl’s Hill Citizen Science Project, an initiative providing critical conservation information that is shared with such groups as Cornell University’s NestWatch Program and the Tennessee Ornithological Society. Well played, Owl’s Hill! Yet another feather for your cap! All of this honors the original vision of Owl’s Hill founder, Huldah Cheek Sharp—yes, the same philanthropist who, along with her husband, Walter, gave you humans the beautiful Cheekwood Estate and Gardens. There are lots of twists and turns to the story, but the gist of it is this: In 1959, Huldah and Walter built a home here and soon heard a great horned owl calling each night from the ridge; the name Owl’s Hill was born. By 1988, Huldah’s dream of a nature sanctuary was born as well, transforming the property into Cheekwood’s Owl Hill Nature Center, an oasis for plant research, conservation projects and educational programming. In the spring of 2007, the Cheekwood board of trustees voted to turn over all Owl's Hill’s assets to the newly created nonprofit organization, Owl's Hill Nature Sanctuary. In keeping with Huldah’s vision, Owl’s Hill is not a public park. Admission is by signing up for a program or by purchasing a day pass. But, regardless of what brings you here, whether it is a simple walk through the woods, an educational kids’ camp, a workshop for adults or some special event such as a Forest Dinner or even a Beer Quest—psst! it’s in May—here you are certain to find birds of a feather with whom to flock together. Nature Sanctuary board member and volunteer. “thank you” for his owl-truism! on the Venetian Lagoon. MURANO While here, watch master glassmakers craft hand-blown glass into chandeliers, colorful vases and sparkling statues. There’s also the Museum of Glass where visitors can learn about the history of glass-making. BURANO On this island famous for lace-making, you can visit the Lace Museum to see historic and rare lace made throughout the years. Afterward, stroll down streets lined with colorful, brightly painted homes. adventure—in this case, shopping! LOUIS VUITTON, VERSACE, PRADA AND MORE Besides the local shops where you can find locally made items and souvenirs, visitors can find purses, clothing and accessories from high-end designers like Gucci and Valentino near St. Mark’s Square. OSTERIA AL PORTEGO After a day of sightseeing and shopping, get ready to eat. Visit a bàcaro, an informal wine bar, to order small plates of delicious food called cicchetti. Located near the Rialto Bridge, this one serves reasonably priced, authentic foods. GONDOLA RIDES Of course, no visit to Venice would be complete without a gondola ride. Glide along the canals while a gondolier points out the many bridges and buildings along the network of waterways. cosplay contest—lots to see and do! Nashville Beer Festival sure does! ket breweries to be joining us! ing in neighboring lots is available. 615-552-1115 I modacu.com/TN001 *The laws relating to the practice of acupuncture vary from state to state. Please visit www.modacu.com for clinic ownership information, offer details and any state specific disclaimers. EXCLUSIVE OFFER Mention this ad and receive P U T YO U R C IT Y O N O U R M A P. Start a magazine & build a legacy. Life is short. Love what you do. The best of Europe and unparalleled views along the storied Danube River await you visit Budapest’s Castle District and cross the famous Chain Bridge, celebrate Vienna’s musical heritage at a concert featuring works by Mozart and Strauss, and explore lesser-known cities like Bratislava and Passau. With medieval towns, grand cities and stunning scenery, these 8-day journeys on the “Blue Danube” are unforgettable. Sail the Rhine River Explore the Black Forest and visit a local workshop to see a cuckoo clockmaking demonstration. Discover the culinary traditions of Alsace. Overlook the Rhine from the walls of Germany’s best-preserved medieval castle. Grand cathedrals, historic cities, medieval towns and spectacular scenery of the Middle Rhine—little wonder that the Rhine is one of Europe’s best-loved rivers. "TREE" CHEERS FOR ARBOR DAY! will be lots of activities for kids of all ages. 2. There will be lots of food. 3. And there will be free tree saplings to adopt and take home. Can you dig it? travel, housing nor food. To register, visit RunRockNRoll.com. and food and arts and crafts. YOUR LOOK ISN’T JUST OUR JOB. ITS OUR PASSION. Your priorities are our focus. Working with people who understand and share your goals is important. At Capital Financial Group, we’re focused on aligning financial strategies with your needs. We want to understand who and what are important to you so we can help you build a financial future that reflects your priorities. The first step is yours, but we’ll help make all the ones that follow a little easier. erator. Marinate for 2 hours. tainer of water for 15 minutes. Open May 16 through Oct. 17 Thursdays from 4–7 p.m.
7. Place 3 pieces of beef on skewer. piece of meat on the stick. a.m. to noon. 7248 Nolensville Road, Nolensville.